As I mentioned in my last post, I spent last week on a family vacation near Corpus Christi, Texas. The kids really liked swimming in the ocean, looking for shells, and playing in the sand. I enjoyed all of those things too, but I also spent quite a bit of time wandering the beaches and adjacent dunes with my camera. 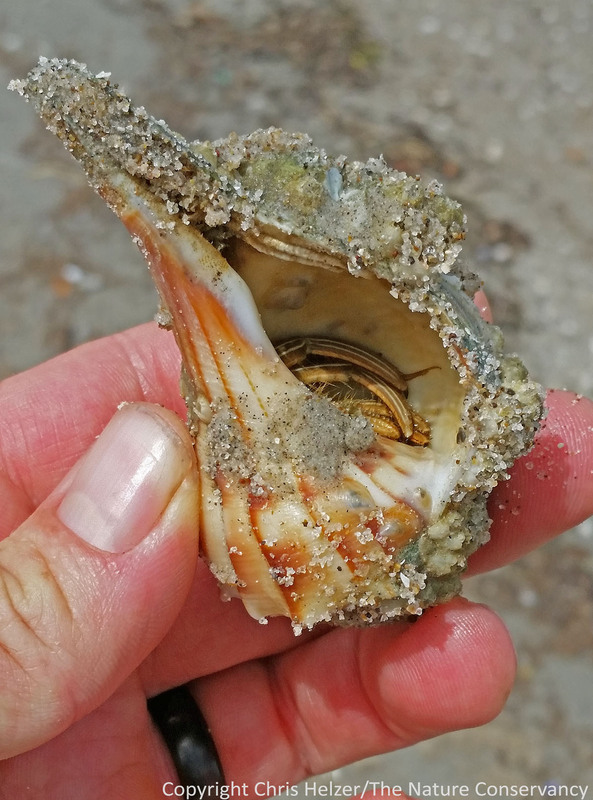 Along the beach near our hotel in Corpus Christi, we found several largish intact shells and didn’t immediately realize that all of them hosted hermit crabs. Once we figured that out, we put them back on the beach and watched them crawl back into the water. 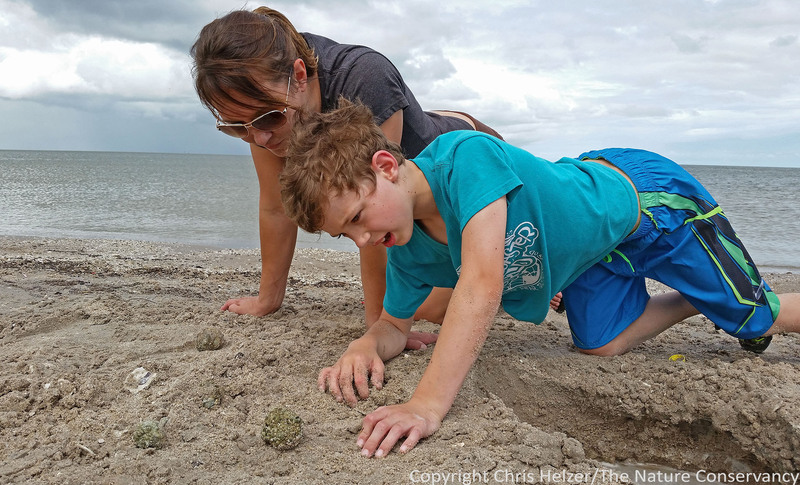 My wife and stepson waiting for hermit crabs to emerge and start moving around. It was fun to see what the waves were washing up on the beach. Even the trash – and there was a lot of that – was interesting. Sea shell on beach. 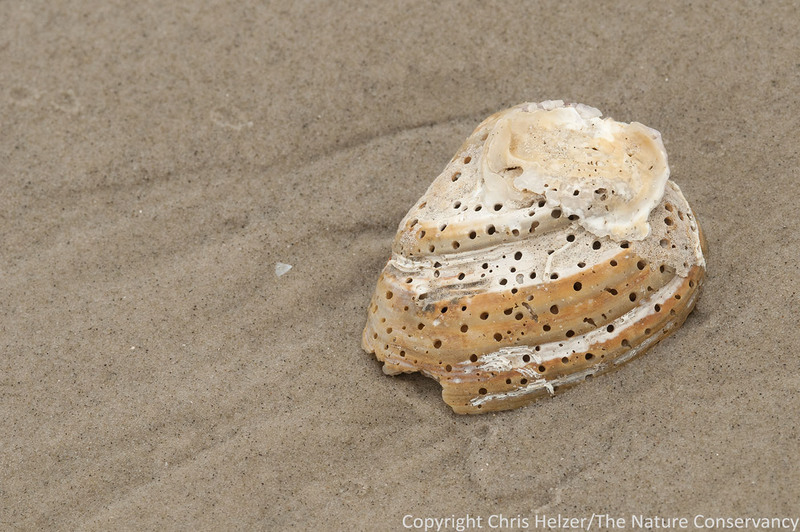 I know that some snails drill holes into mollusk shells and feed on the animal inside, but I don’t know how to explain the high abundance of holes in this particular shell. San Jose Island near Port Aransas, Texas. 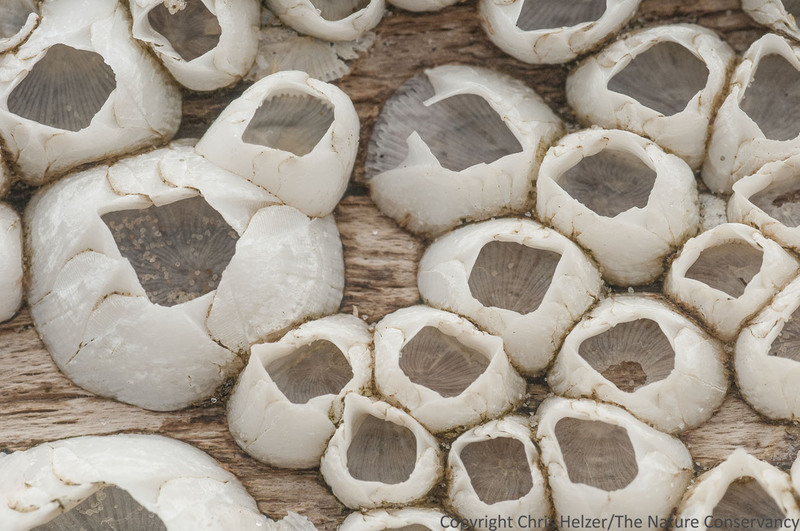 Barnacle shells on a big driftwood log. San Jose Island near Port Aransas, Texas. 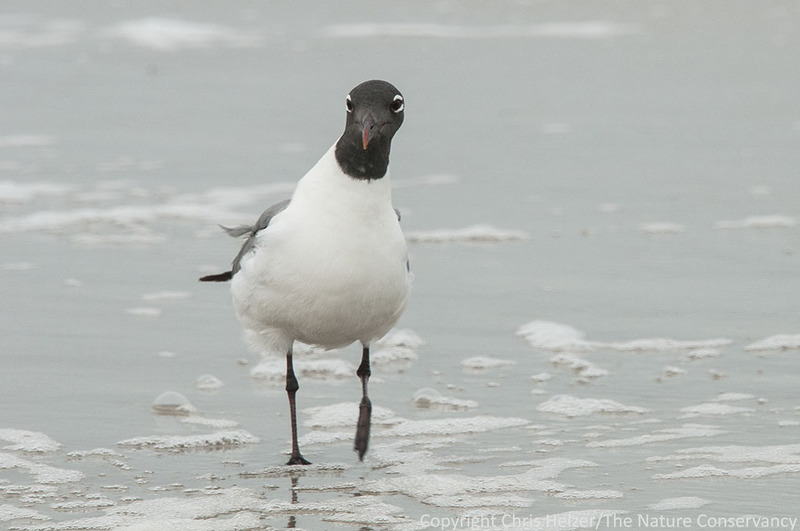 There were others walking the beach too – especially gulls and various shorebirds. I was just looking for interesting objects and photo subjects. The birds were looking for food. Laughing gulls and other birds were walking the edge of the surf at Padre Island National Seashore, feeding on various small animals washed up on the beach. As I followed gulls to see what they were eating, much of what they seemed to be feeding on were small terrestrial invertebrates that had apparently gotten caught in the water and washed ashore. Stinkbugs were very abundant, along with a few different beetle species. I saw 20 or 30 stinkbugs washed up in a pretty short stretch of beach. The starkest reminders that I was far from the prairies of Nebraska were the crabs. Those of you who have followed this blog for a while know about my minor obsession about photographing crab spiders in prairies. I think I could probably develop a similar addiction to photographing crabs. They’re just so otherworldly and fantastic. 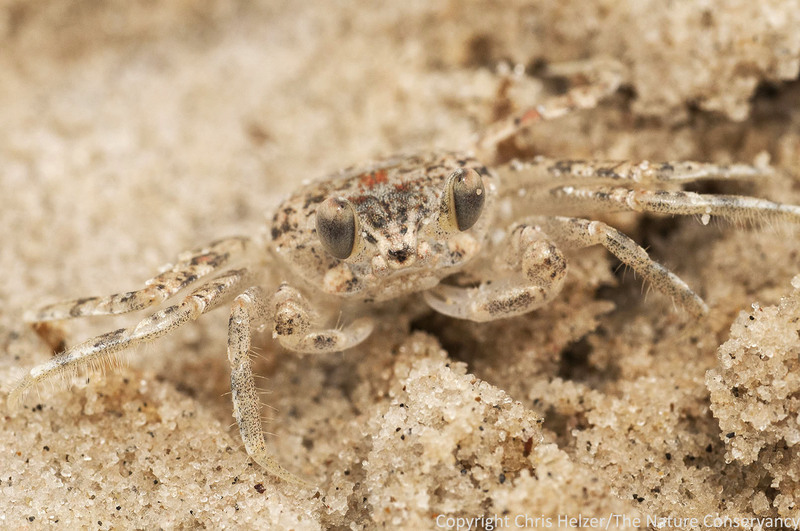 Ghost crabs (and other species?) 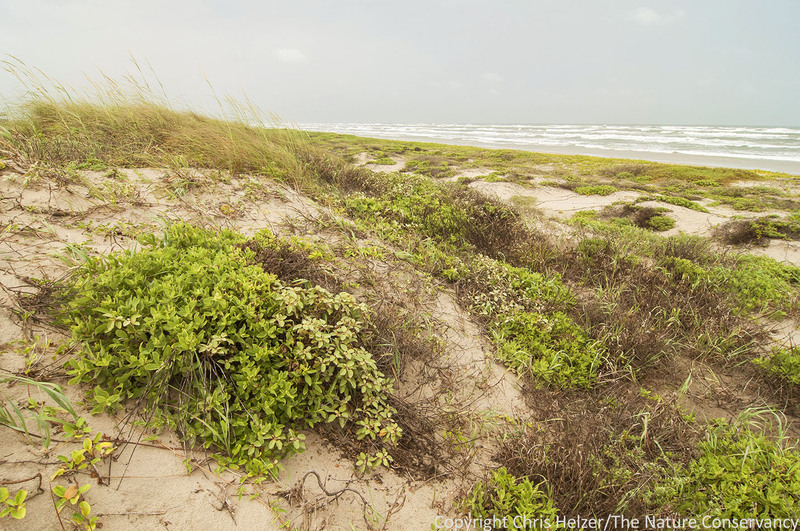 were very common on the beaches at Padre Island National Seashore and San Jose Island. They seemed to spend a lot of time carrying sand out of their holes, and skittered back into those holes quickly as we approached them. This one eventually came back out after I sat quietly next to its burrow. 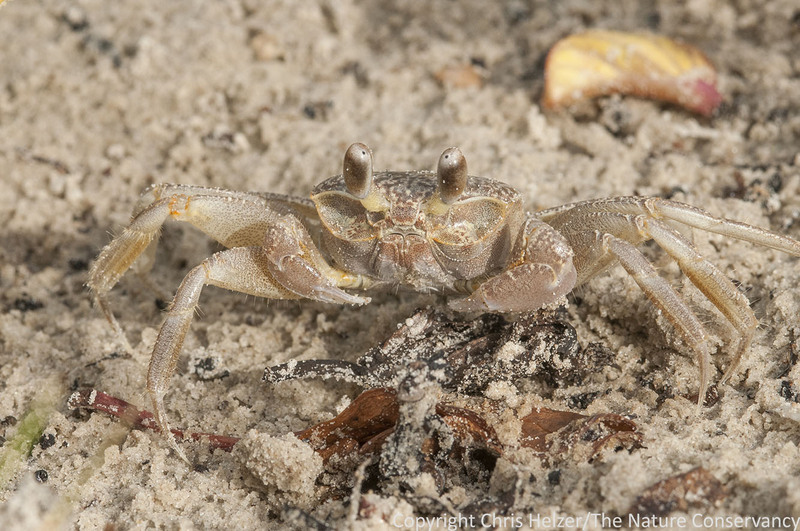 The crabs along the beaches ranged from very small (this one was about an inch or inch and a half wide – including legs) to maybe 5 or 6 inches wide. 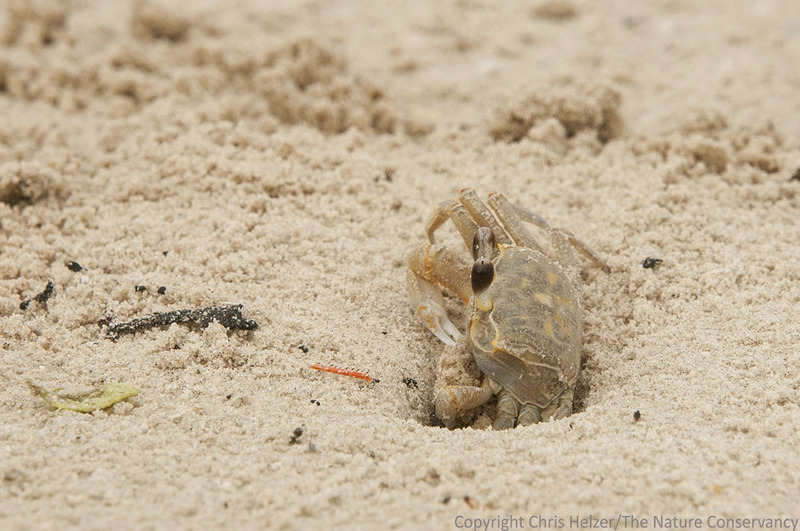 A larger crab at Padre Island National Seashore. I don’t know how many species are there, and couldn’t find much information on them. 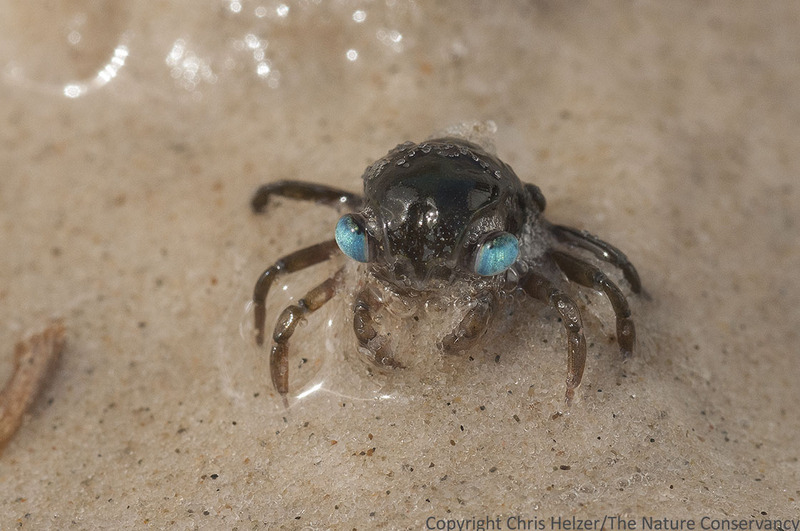 Maybe they are all ghost crabs, but the coloration patterns seemed to vary somewhat between individuals. I’m guessing this is a larval crab, but I really don’t know. It was only about 1/2 inch wide and was moving around by squirting water out a tiny jet engine-like appendage coming out its rear end. Padre Island National Seashore. Tiger beetles were a more familiar sight to me than the crabs. 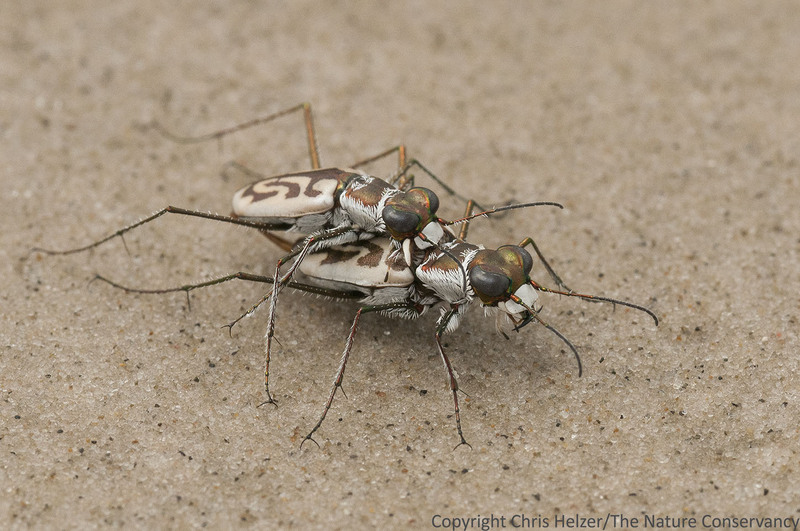 I know tiger beetles, though not the species I was seeing on the beach last week. 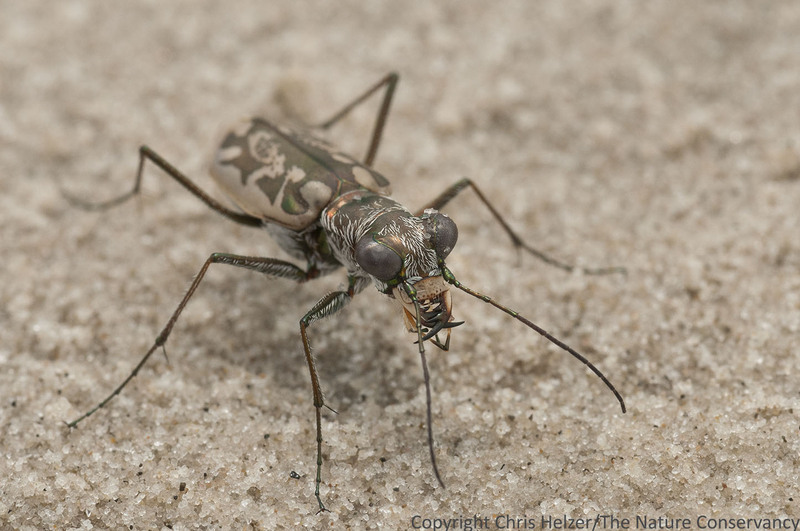 It turns out beach tiger beetles are just as fun to stalk with a camera as those in prairies. And their faces are just as cute. Tiger beetle. San Jose Island. Gulf of Mexico. Port Aransas, Texas. 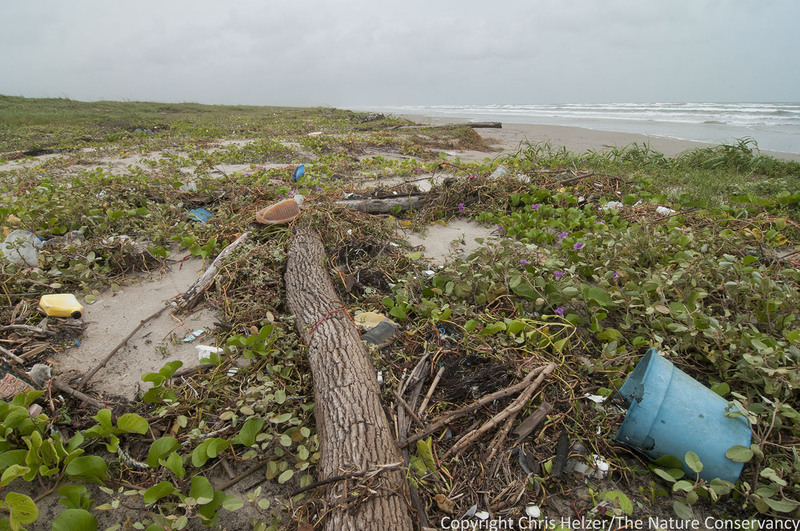 Unfortunately, much of what we saw washed up along the beaches was debris from the human race. A huge range of objects, especially plastic ones, were strewn about along the base of the dunes. I tried for a while to compose photos that avoided the trash, but eventually gave up and just photographed the trash itself. Trash washed in on beach. San Jose Island. Gulf of Mexico. Port Aransas, Texas. While the beaches were pretty different from prairies, the dunes right next to them felt much more like home. As I walked through them, I felt as if I should know the plants I was seeing. They looked just like prairie plants I am familiar with in Nebraska except that they weren’t quite. I saw grasses that were almost prairie sandreed, wildflowers that were almost purple prairie clover, and many others. If I squinted my eyes, it felt like home. Dunes at Padre Island National Seashore. Corpus Christi, Texas. 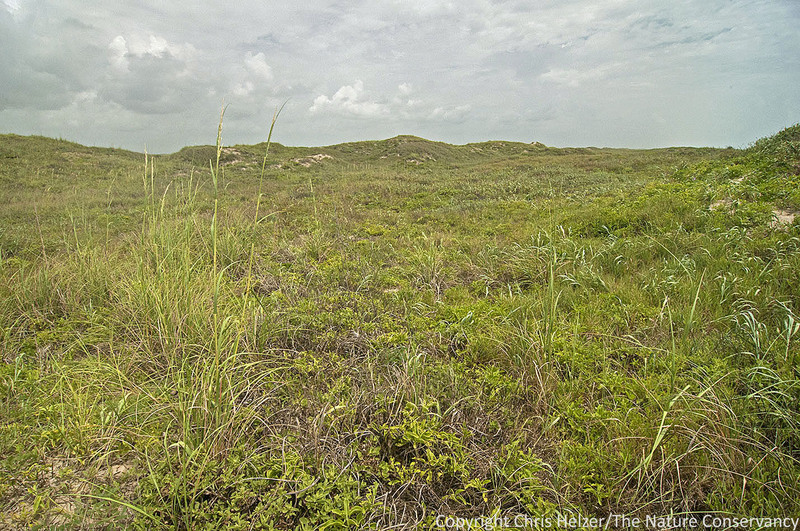 The plant community in the dunes looked and felt just like the sandhills prairie of Nebraska. 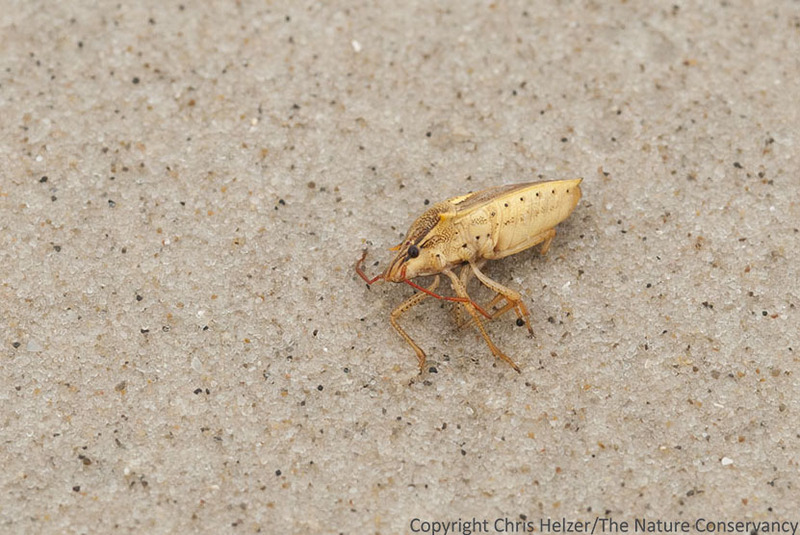 Not only did walking the dunes feel familiar, photographing the little creatures living in them did too. I heard this cicada before I saw it, and was able to slowly creep up close enough for a photo. Cicada. San Jose Island. Gulf of Mexico. Port Aransas, Texas. 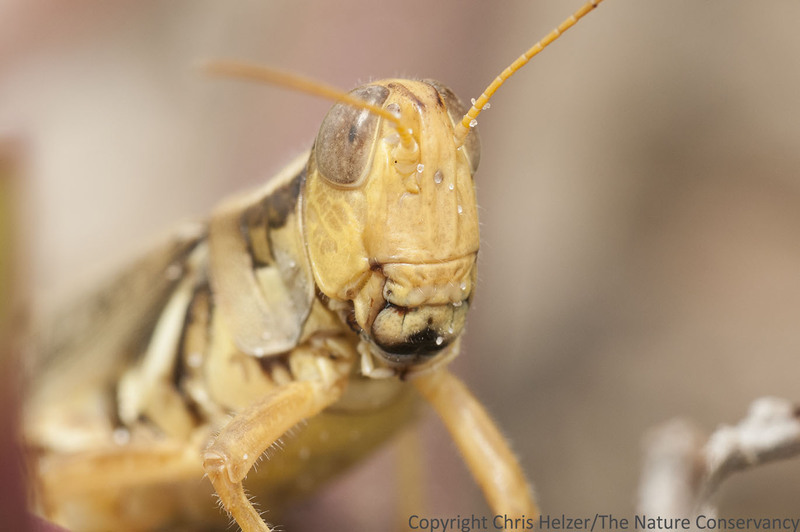 Grasshoppers were very abundant in the dunes. Every time I stopped to photograph one, I’d see several others right next to it. The result was a kind of neverending cascade of photographic opportunities. Even with a stiff breeze blowing, I managed to get a few decent portraits taken. 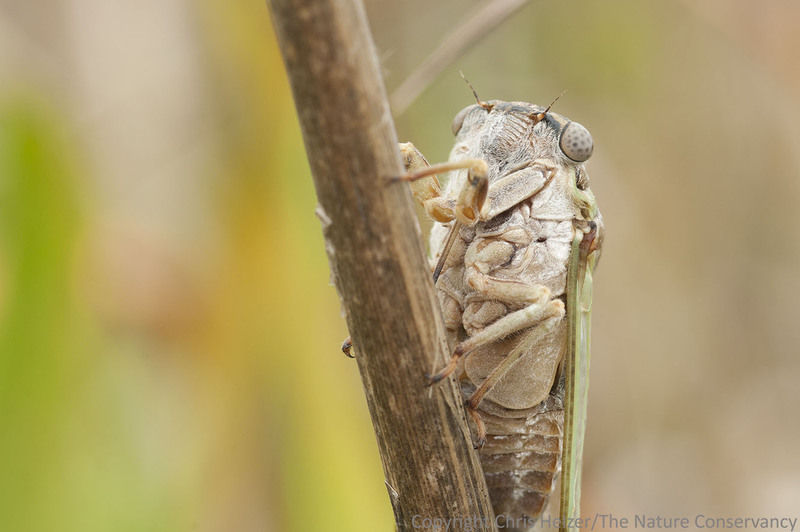 Grasshopper. San Jose Island. Gulf of Mexico. Port Aransas, Texas. Lizards were also a comforting sight. The habitat looked like it should have lizards in it, and sure enough, there they were. I had to look up the species online (I think I got it right)? 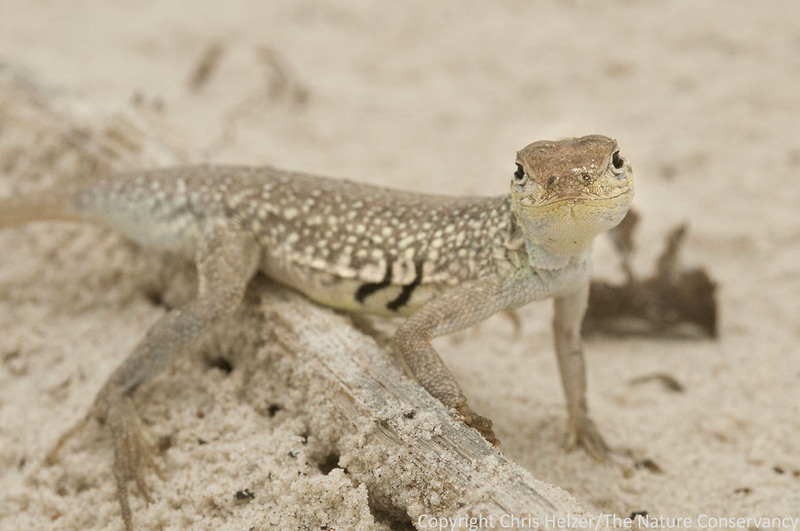 Keeled earless lizard (Holbrookia propinqua). San Jose Island. Gulf of Mexico. Port Aransas, Texas. 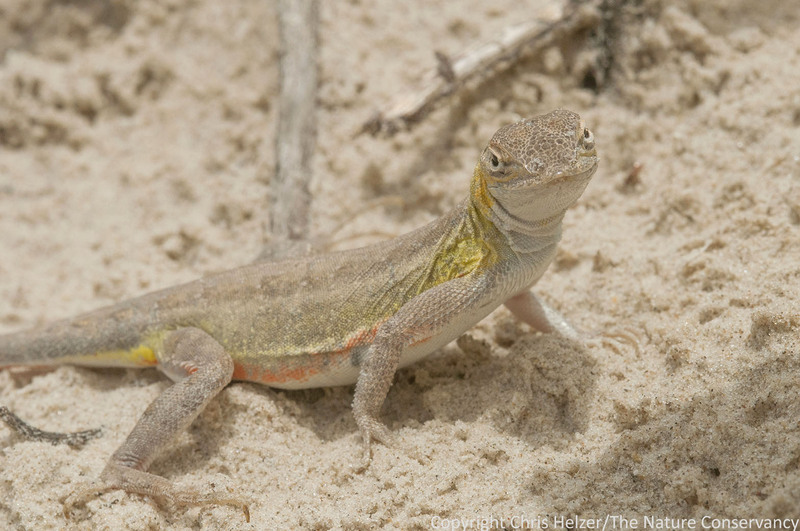 Another keeled earless lizard. (You can tell they’re related by their identical facial expressions…?) I’m not sure if the more colorful one is a juvenile or different gender – I couldn’t figure that out online, but I’m sure readers can help me out. Padre Island National Seashore. Gulf coast of Texas near Corpus Christi. 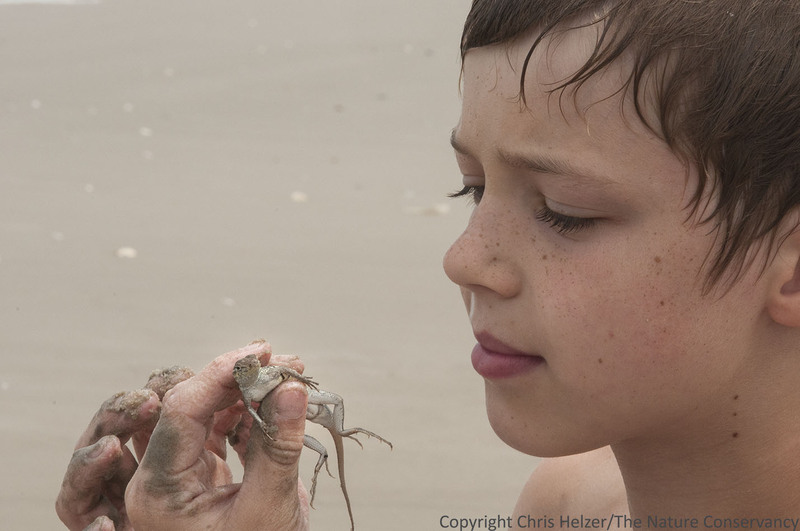 Atticus (my stepson) looking at a lizard found on the beach. San Jose Island. Gulf of Mexico. Port Aransas, Texas. As always, it was great to be on vacation but nice to be home again. I enjoyed walking through the familiar black-eyed susans and big bluestem of the Platte River Prairies yesterday. 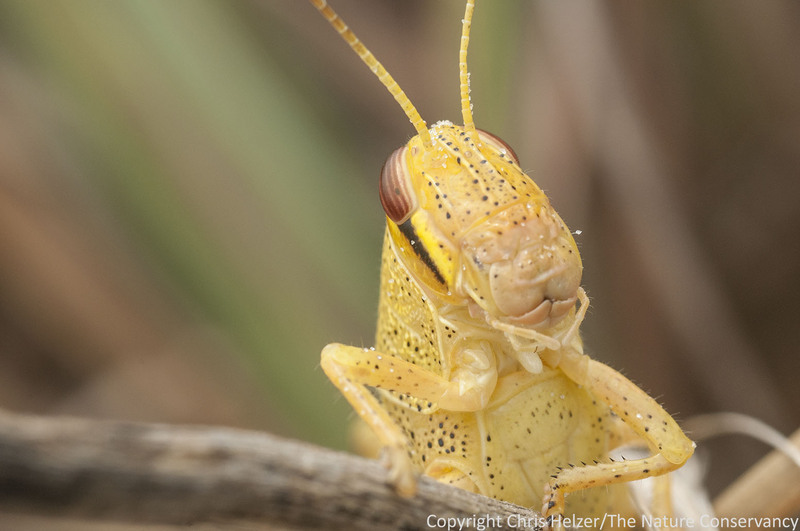 This entry was posted in Prairie Animals, Prairie Natural History, Prairie Photography and tagged beach, cicada, corpus christi, crab, earless lizard, gulf coast, lizard, ocean, padre island national seashore, san jose island, texas, tiger beetle by Chris Helzer. Bookmark the permalink. Yep, those crabs are cute! Neat post. Thanks for sharing your photos and thoughts about comparisons and contrasts with the prairie world. Makes me want to take our grandsons to the beach this summer. Hard isn’t it to leave work behind? Heck being a naturalist is like you never stop seeing something new and wondering what it is and off we go on another quest. Should have looked up TNC John Karges and had a tour with him. Or he may have been off fishing somewhere. Glad you went to our great Gulf shore. It is beautiful, in spite of the trash. Hey Becky, I actually contacted John to get lots of expert advice prior to our trip and he helped us pick out some good places to go. It was a great trip and a beautiful place. Thanks Jon! Boring sponges, eh? Boring, maybe, but not uninteresting! They aren’t really crabs, but maybe the trilobites at Agate Fossil Beds in Nebraska will remind you that in the distant past Nebraska was even more like where you are visiting. Another great post! Toni Amos with the UT Marine Science Institute in Port A has been tracking beach trash for many years, compiling what the top sources are (oil rigs, Mississippi River Delta currents, locals, etc). It is truly a staggering problem. Of all the many beaches I’ve visited in my life, the trash at Padre and Mustang Islands has always been the most abundant. My father grew up in Matagorda, TX just up the coast from CC. The trash there has been epic for decades. And it stinks. But it’s the only beach I’ve ever known so I love it in spite of its tragic flaw. Most of it seems to be from the oil rigs. 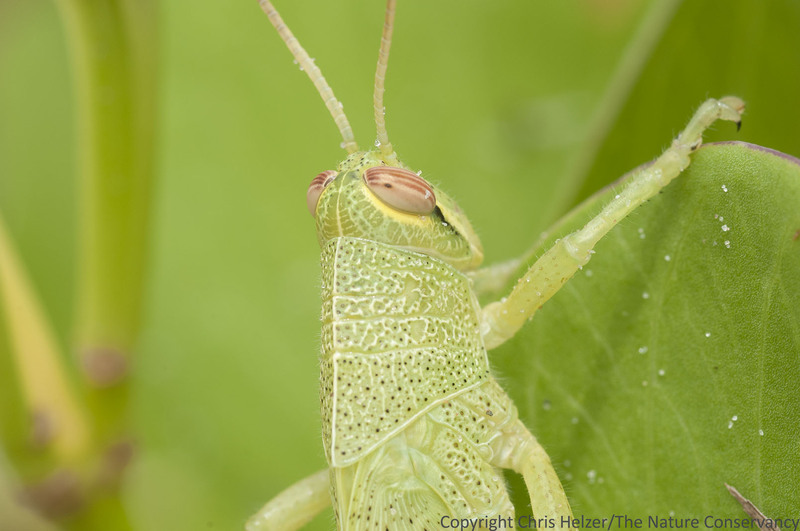 Your photos of all those tiny creatures are amazing! The magnified photos are unbelievably incredible! I can’t imagine seeing anything so exquisitely in detail. What is the high magnification? I found one of those black crabs on a beach in Florida. I had never seen anything like it before. Hopefully heading there next month. A nice change of scenery from the corn fields of Indiana. Enjoyed the post. Thanks!